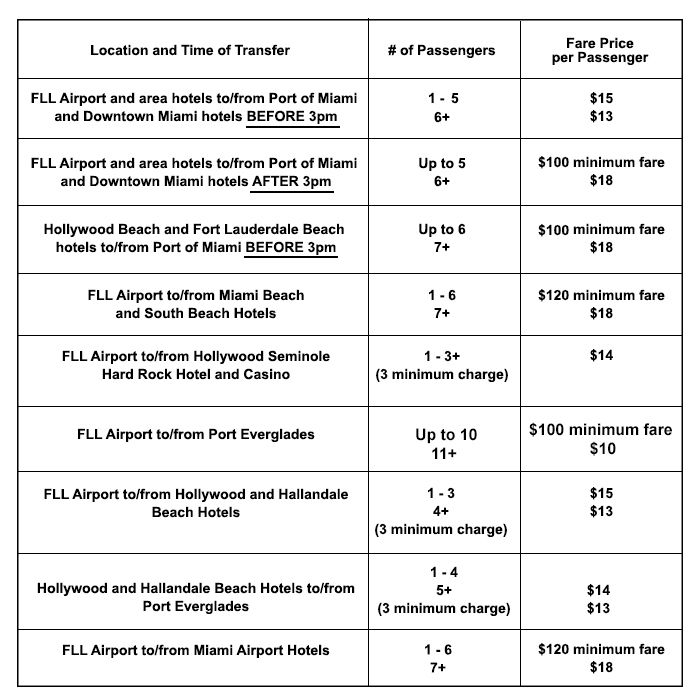 The rates listed on this page are for shared ride shuttle services. There are passenger minimums where indicated. If a shared ride is not available for your selected time, a 3 passenger minimum is required. For private ride information and rate quotes, please contact us via email. We reserve the right to collect payment in advance via credit card for all last minute transfers that are booked within 24 hours of pick up. Such reservations will incur an additional $10 fee for processing.